My Survey Australia is owned by Lightspeed Research Australia Pty Limited (“Lightspeed Research”), which operates and performs research in markets worldwide. Lightspeed Research was established as a mail survey panel in 1937, and has been conducting online surveys since 1996. Results from surveys conducted by My Survey have been reported in such international publications as the Wall Street Journal and Financial Times. Today there are over 135,000 My Survey Australia users who have volunteered to take part in market research studies. To become a member of My Survey Australia simply fill out the registration form online and wait for the confirmation email to arrive at the email address you provided. Once your membership is confirmed then My Survey Australia will email you survey invitations as they become available. You can always log in to your account page on their website to see which surveys you may be eligible for, as well as how many points you have earned to date. The length of the survey, along with the reward points for completion is always stated before you begin. Members earn My Survey points for participating in surveys. The number of points varies between 10 to over 1500 depending on the length of each survey. On occasion the survey is filled before the member follows the link, in this case 10 points are deposited into the member’s account. Points are also earned when friends and family are referred to My Survey. 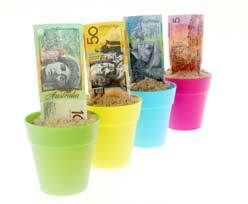 Accumulated points are stored in the members “My Rewards” account on the My Survey Australia website. After reach 550 points they can then be redeemed for gift vouchers to businesses such as Myer, Bigpond and Rebel Sport. When 575 points are reached, members can exchange them for a cash deposit via PayPal. Other available options include choosing a prize from the Rewards Catalogue, Rixty cards for online games or donations to a favourite charity. 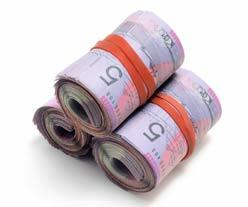 Members are automatically entered into an AUD $2500 cash sweepstakes draw just for registering. When completing mini-polls and attempting surveys, members receive entries into bonus quarterly draws for fabulous prizes as well as cash.